This surf-dude caught my attention on a BBC/Radio 4 documentary and he so reminded me of an old friend, er, yes hello, Guy, on that same 'surfing & 'spiritualism' tip, both very much finding one's self in Costa Rica, though Guy's now left much of the surfing behind, focusing hard on the religion. 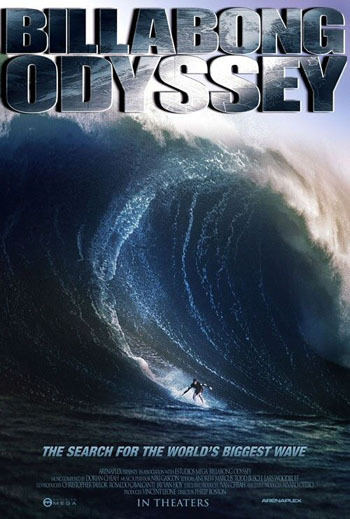 Love how Rabbi Nachum parallels Surfing's solitude, discipline and concentration to Judaism. 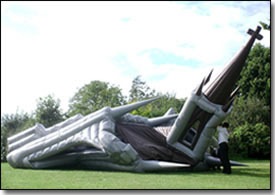 If they can have those inflatable/portable churches, bring on mid-sea Synagogues!!! 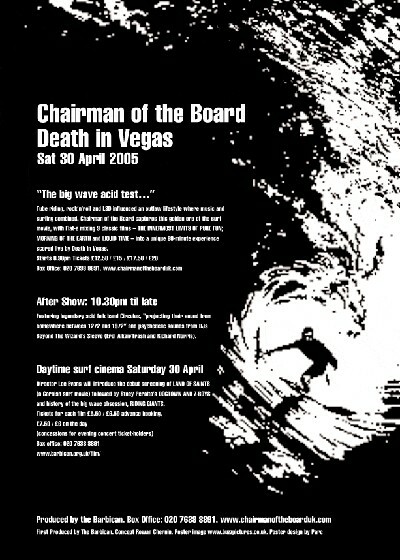 Whilst on the surfing tip, gutted to have missed Death In Vegas's 'Chairman Of The Board' set at the Barbican (weekend just gone), part of 'A Day Of Surf'. My man Nick @ MVE told me it was very cool with D.I.V. performing live to edited highlights from 3 cult surf classics, 'Liquid Time', 'The Morning Of The Earth' and 'The Innermost Limits Of Pure Fun'.